Create a bedroom space that radiates warmth and looks effortlessly sophisticated with this bed. 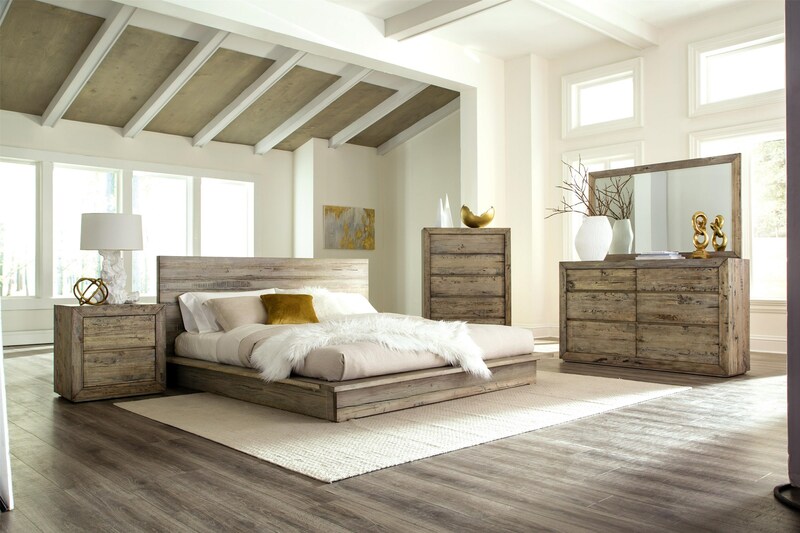 The bed's clean lines and low profile base give it a distinct contemporary feel, while the beautiful reclaimed wood exudes rustic natural style. The result is a modern organic look that is inviting and casually sophisticated. All other items sold separately. The Renewal Queen Bed by Napa Furniture Designs at HomeWorld Furniture in the Hawaii, Oahu, Hilo, Kona, Maui area. Product availability may vary. Contact us for the most current availability on this product.